Home furnishings + retail is one of our favourite combinations for B2C work and it doesn’t get much more exciting than Heal’s, which is officially recognised as a ‘Cool Brand’. Iconic British furniture and interiors retailer, Heal’s appointed Rewired to deliver national press office support, working alongside the company’s in-house PR and marketing team. 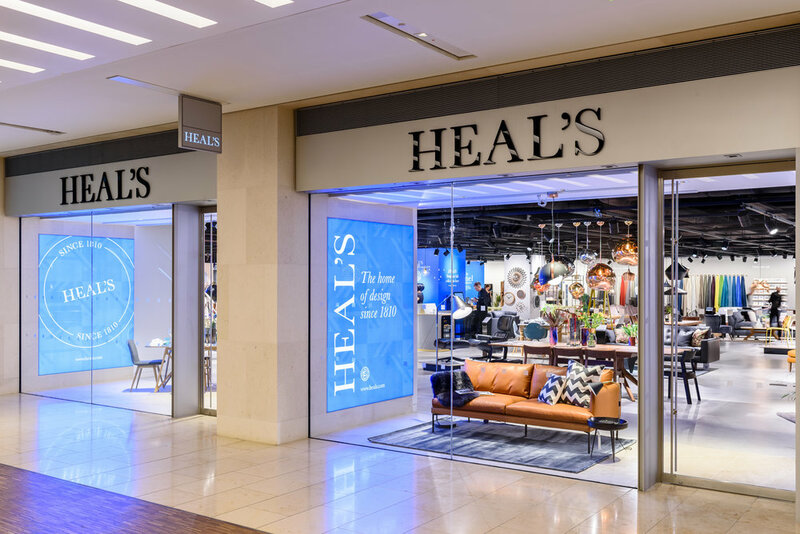 We were initially appointed to support the launch of the new Heal’s store at the Mailbox in Birmingham, which included a series of launch events, media relations activity, and strategic communications to develop brand awareness across the Midlands region and drive footfall. Following the launch, we were delighted to secure the national brief to provide PR services to Heal’s across consumer, business and trade media. Established in 1810, with a strong history and established reputation for design and inspiration, we were excited to be given the opportunity to get under the skin of this iconic brand and its heritage, in order to become a meaningful extension of their marketing team and to deliver supercharged and relevant PR. An ongoing and exciting part of our role is to deliver fast-paced regular PR features in response to, often short journalistic deadlines, and to stay ahead of trends, styles, retail and sector opportunities for Heal’s. With an ever-changing media landscape and an uncertain economic and retail climate, we want to ensure that Heal’s retains its voice in a competitive and busy media world. Working within Heal’s head office once a week enabled us to really immerse ourselves in the Heal’s brand, heritage, working practices, products, trends, events, processes, systems, buyers, team, key relationships and designers with whom they collaborate. This was an invaluable time for us. Next, our creative and proactive approach combined with our strong media relationships, both nationally and regionally, means that we are able to identify and secure excellent features and profile opportunities, in addition to delivering volume press releases and day-to-day support. Our hands-on, approachable and 24/7 availability has given strength to our valued relationship and we’ve become a true extension of Heal’s’ in-house marketing team. Our proactive press office has generated extensive coverage across key titles, including pieces in Elle Decoration, Sunday Telegraph, Metro, The Times, EKBB, Living Etc., Stylist, Good Homes, Daily Mail and Mail Online. Like we do for all of our clients, we’re always looking for ways to utilise our network of connections to generate additional opportunities. In July last year, we introduced Heal’s to Kirstie Allsopp through our work with The Handmade Fair, which resulted in a Q&A at the brand’s Tottenham Court Road flagship store attended by its customers. Our work has also seen Heal’s shortlisted in the Retail Week Awards for “Customer Innovation” in 2018 with its Designed by You service and ‘Best Retail Destination’ in 2019 for Tottenham Court Road.